Just adorable, Elena!! 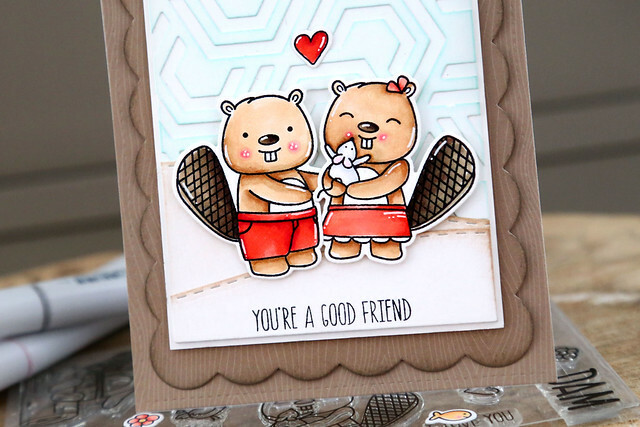 Your designs are just fabulous and I love the woodgrain accent you added to your card base. An incredibly adorable set, Elena; you've made my Canadian heart smile! And I agree: I want to give those cute little cheeks a pinch and both the critters a cuddle! Such a cute set. I knew it had to have been illustrated by a Canadian as soon as I saw the name of it. : ) And your card is super cute; they look like a very happy couple. 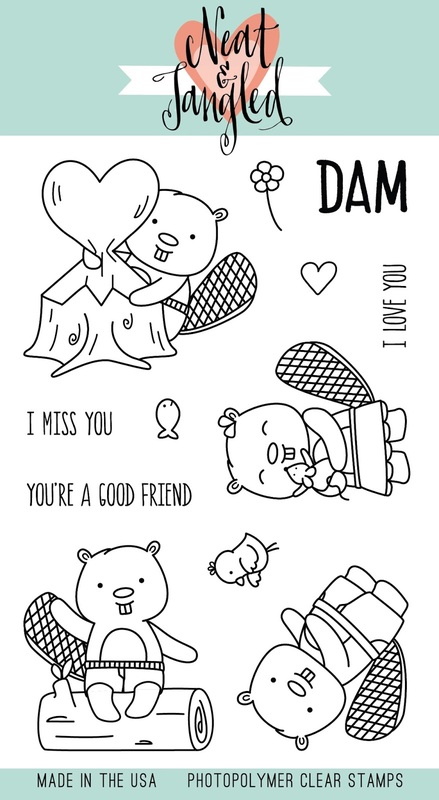 So adorable and fun stamp set! Awwww so cute! Love all the layers. Love the gloss on their tails! Love, love, love. So adorable! Love your designs. Aww, they are adorable. Sweet card. Fun card with a fab hex background. The illustrations are so cute with great supporting images. I love your design ideas. I especially like that you positioned the boy beaver to have his arm around the gal. Very cute! So cute. I like your coloring and the background. Hi Elena, this set is just too cute! Love those little beaver faces, the expressions are priceless! Oh my ! Elena ! These critters are so darn cute ! Congratulations ! Happy New Year! Love these adorable beavers...love the Canadian humour eh! And the cards are wonderful. What a perfect adorable card! TFS! I love that your boy beaver has his arm around his friend! Your card is so sweet! I love that it combines lots of different Neat and Tangled products, as well! 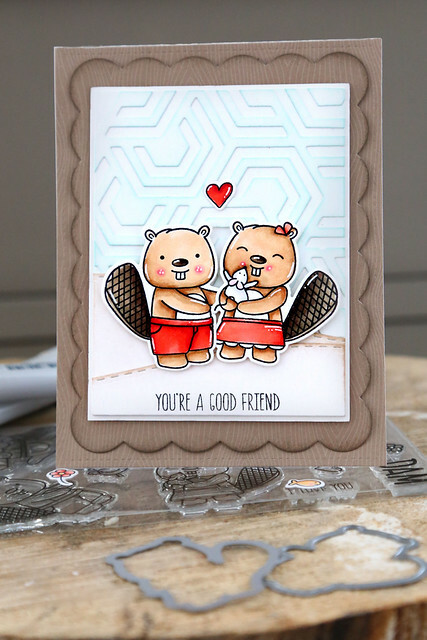 Darling card - love the beaver couple. This is so cute! I love how you framed them and used the cover too, it really makes the whole card pop! Elena, I love these beavers so much!!! I love your sweet card and the girl Beaver is the cutest!!! Since google won’t delete my old outdated irrelevant blogger profile for a blog imported to wordpress in 2012. Yay Google! These beavers are totally adorable! I am so excited for this set! It is just so adorable!! What a beautifully designed stamp/die set!!! Your designs always blow me away and I love what you've created with it! Love your card! The colours are fabulous. Such a great stamp set! That is just perfect for a Valentine. And beavers? 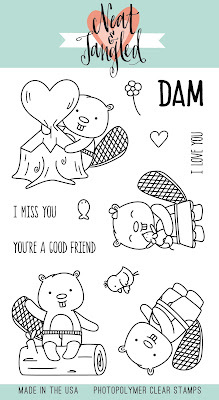 I've never seen beaver stamps! Such a fun card, loved the pun comments! So cute! Love how subtle the new hexagon background looks.